Let's start off this weekend recap by saying: It was one for the books. 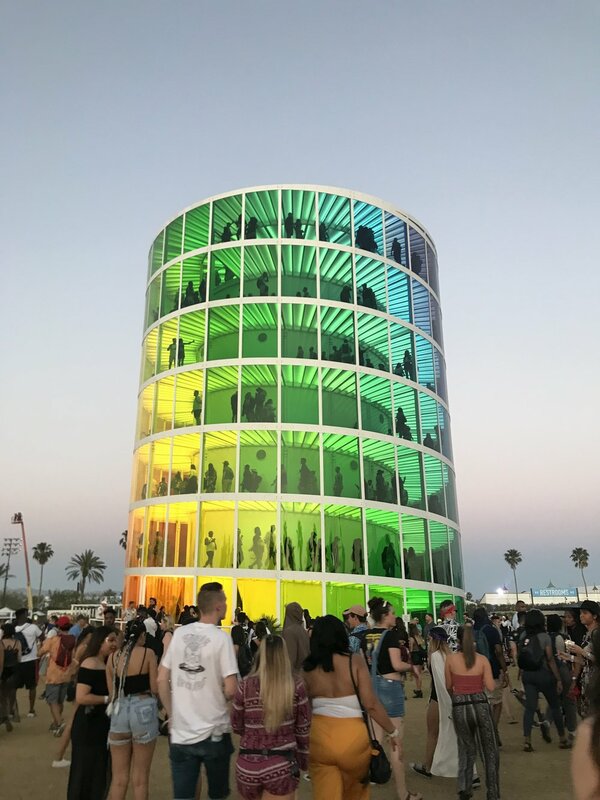 I have gone to Palm Springs to attend the Coachella Music Festival on and off for about 10 years now. I used to meet my best friend from Toronto there every year up until I got pregnant. That was my last Coachella hurrah...for awhile. When I used to go to the festival, I would always notice the couples that brought their kids. I thought it was kinda weird...but also cool. Cut to...I have 2 kids and they get a spring break in April that would always align with Coachella. So our spring trip would be to California. It was brilliant. We would spend a few nights in LA visiting friends, seeing sites and then we would drive to Palm Springs. Last year my cousin Bailey joined me and the boys so I could go to Coachella with friends. It was the perfect week. 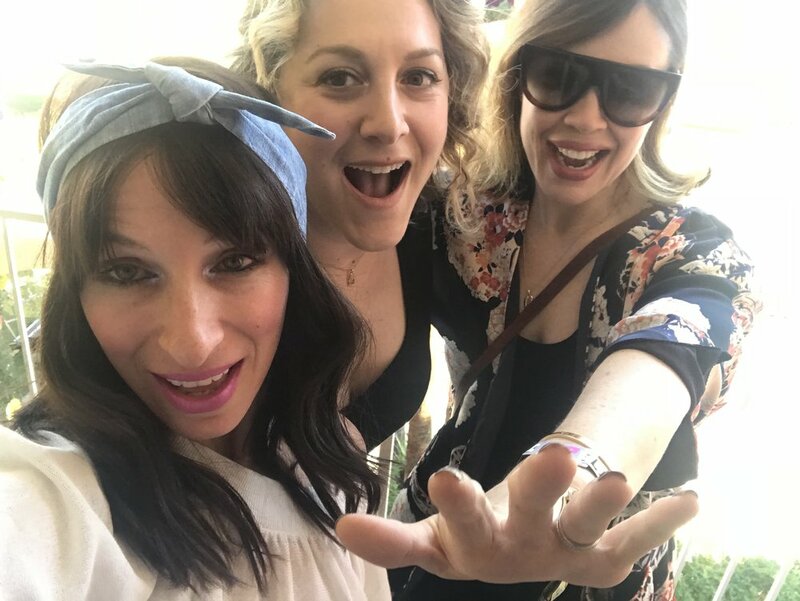 Now this year....spring break did NOT align with Coachella which was a bummer until...me and my 2 best friends from Toronto, Lindsey + Ady said, let's go to Coachella for our 40th birthdays! It's our year. You heard me. So we booked our trip and all met there. Ady's actual birthday was on Saturday AND guess who was playing to celebrate her? Beyonce. That's right. We thought Queen Bey may sing to her. She didn't however holy hell you guys. She killed it. I mean she crushed the stage with her presence, beauty, empowerment, I can't even because I could go on for hours. That Beyonce is truly mind blowingly talented and I could not be more grateful to have seen her live, under the stars, in the desert, I mean, c'm the F on. Backtrack to earlier in the day, we had coffee and croissants while vintage shopping and waiting for a table to eat brunch at Cheeky's. We hit up the Saguaro Hotel Pool Party, hard. We had several drinks and tons of laughs. Needless to say, it was a pretty stellar 40th birthday celebration for all of us! Let's move along here and talk about Sunday, our 3rd and last day at the Festival. Sunday morning we had planned to have brunch at Tommy Bahama and do some shopping in Boobie-ville. Low key, eat + shop + pop a few bottles of bubbly. Afterwards, we planned to head back to Coachella for some of the earlier shows like Portugal the Man and Miguel. We were most excited to get back to Coachella to see Eminem play that night. I had always wanted to see him live AND I *heard* that Dr. Dre and 50 Cent came out to preform with him. Read on to see why we MISSED THIS!! We got ourselves out the door and into an Uber to head off to eat. Ady got into the Uber first. I got in second and then in came Lindsey. However Lindsey didn't have both legs in AND her door was wide open when our Uber Driver started to roll away. Lindsey SCREAMED "MY FOOT!". We all screamed STOP the car! He stopped after fully running over her foot. Lindsey fell out of the car in sheer agony. A pain so bad it caused her to faint in the Palm Springs heat, right on a tar parking lot where thankfully Ady, calmly caught her. I, on the other hand, handled the situation in a true panicked form. The exact opposite of how you should act in a state of crisis. And in fairness, have you guys ever seen someone faint? And not even someone - but your best friend? Who is like a sister??!! Truth be told, I freaked. Her eyes did not close and she stared at me blankly as if I just lost her forever and didn't get to say goodbye. I SCREAMED WITH ARMS A FLALING: “HELP! WE NEED HELP! CALL AN AMBULANCE! WE NEED A DOCTOR! IS THERE A DOCTOR ON SITE? CAN SOMEONE GET US SOME WATER?" Dude, it was bad. Can you imagine this? Well 2 minutes later, she woke up. Longest 2 minutes of my entire life. Long story short, we spent the day in the hospital getting x-rays and rehydrating. HOWEVER we were supposed to be eating brunch at Tommy Bahama, shopping and enjoying the early shows at Coachella. Instead, we spent the day nursing our friend who can barely walk right now. We lost that all. We almost lost our friends foot (and our friend for that matter!!) and this was truly Uber's fault. Driving 101: make sure all doors are closed before you drive off. I am a long time, very loyal customer. Not only do I use your services but I trust your drivers to often take my children around town. I trust that you will keep them safe. Don't let me down with how you handle this because you owe us for the scare, the losses and the PTSD that we now have from the trauma of the situation.